Thames Cottage overlooks the river with French windows opening onto balcony with table and chairs. Here you can have your breakfast, watch the wildlife on the river or simple sit back and enjoy the glorious views of the Thames and countryside. Ground floor with an entrance lobby opening to a fitted kitchen with electric and microwave cookers, fridge freezer and dishwasher with serving hatch to dining room. 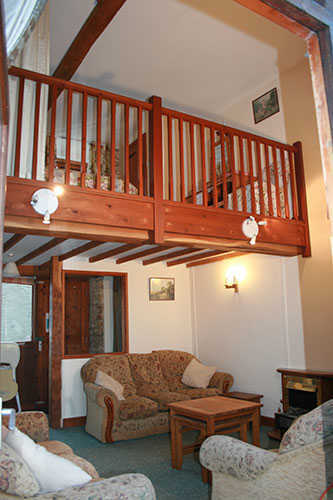 Lounge with a colour T.V, DVD player and large windows opening onto the river balcony. 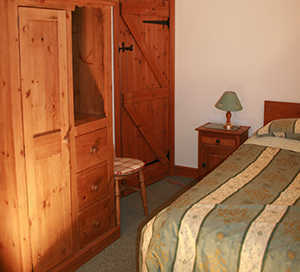 Downstairs bedroom with double bed and adjoining shower/bathroom with shaver point. 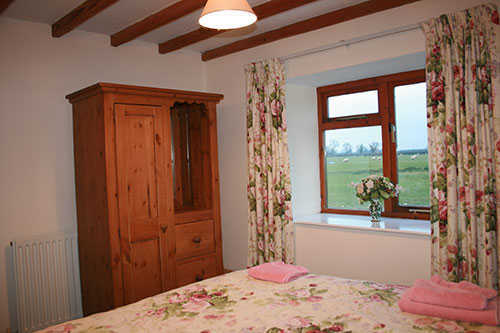 Main galleried bedroom upstairs, again overlooking the river with 5′ double bed and walk in wardrobe. Fourth bedroom with 1 single bed. Bathroom with over bath shower and shaver point. 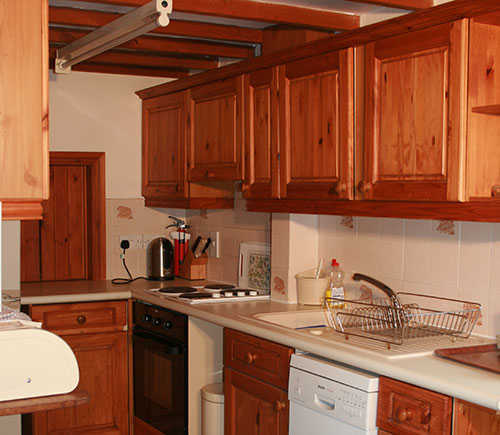 This well equipped cottage is in a beautiful position actually on the Thames pathway! The accommodation is well equipped and spacious. 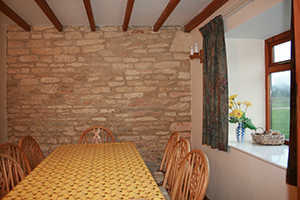 Only a short drive from Cirencester and all the amenities of the Cotswolds a perfect place for a relaxing holiday. 2 good pubs within a short drive. And a very warm welcome from the owners of the farm and the dogs.